Keeping the bowels healthy and moving is critical to health and weight loss. It’s probably the combination of magnesium and the fiber. Good article, I like Shakeology myself, its a little expensive but I feel its worth it. I notice a dramatic change in my energy and overall health. I really enjoyed your article and i my self believe that Shakeology is quite an effective way to boost energy. Although shakeology is very effective in raising your immune system as well as your overall health, it’s quite a tedious process to prepare these concoctions. What i like to do for quicker energy boosts as well as a long long term extensions on the longevity of your life is to use Enerfood. I work out on a daily basis and Enerfood is an amazing food supplement as well as energy booster. You should check out the product at enerhealth.com. I promise you won’t regret it. this is one of my favourites ! Carefully add the peaches and banana. 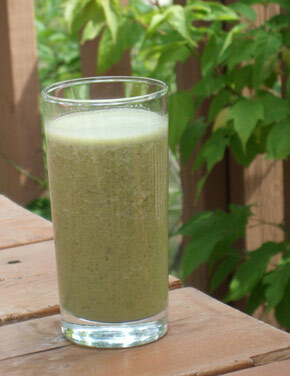 Pecans also work well in this smoothie. For a little different taste, use pineapple juice in place of the orange juice. @Pia, I teach using whole fresh foods, not canned, so with your recipe, I’m cool with it as long as it’s fresh squeezed orange juice and peaches purchased and then frozen. and, IMHO, as for the bananas, they dont really help with weight loss at all… the bananas will put weight on, so while your recipe uses fresh fruit, the sugar load in it would fuel a gorilla.